Sled Island is pleased to partner with The King Eddy to present Beverly Glenn-Copeland with Indigo Rising and FOONYAP on Monday, September 10 at 8pm. 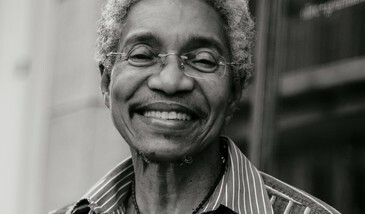 A classically-trained musician, Beverly Glenn-Copeland has been writing, recording and performing music for over 40 years, including a large body of music for adults, music for film, six albums of his own songs (from folky jazz in the vein of Joni Mitchell to soulful electronic music), and four musicals for children. His songs have been performed by various Canadian artists including Rita MacNeil and Jackie Richardson, as well as by the Toronto Pops Orchestra under the direction of David Warrack. Glenn also has a longstanding career writing music for children’s TV that includes credits on shows such as Mr. Dressup—where he spent 25 years as a recurring character—as well as Sesame Street and Shining Time Station. His 1986 album, Keyboard Fantasies, a mixture of digital new age and (accidentally) early experimental Detroit techno, recorded using a Yamaha DX7 and Roland TR-707 and originally released on cassette tape, was reissued in 2016 as a result of his following with collectors and music heads. After a 20 year absence from the concert stage, Glenn has resumed performing his sprawling, transformative catalogue of music with his new band, Indigo Rising. Calgary violinist and folk-electronic artist FOONYAP will open the night.